wow this was way out of my COMFORT ZONE !!!!! BUT HEY !!!! that is what a challenge is all about LOL !!!??? click here to see the amazing talent over on the site.. I am not sure about this page as it is so different from my usual colour combos..I am beginning to warm towards it I think ??? hope you have a great weekend full of joy and creating. Well, I agree with DH, I just love it. 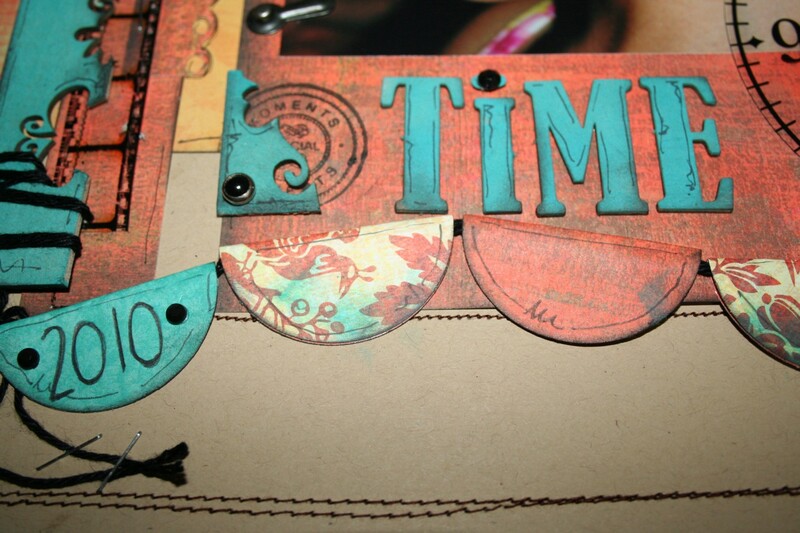 The banner, the clock, the film strips the tag, the stitching, fabbo. And, as I think of all of your work, stunning. 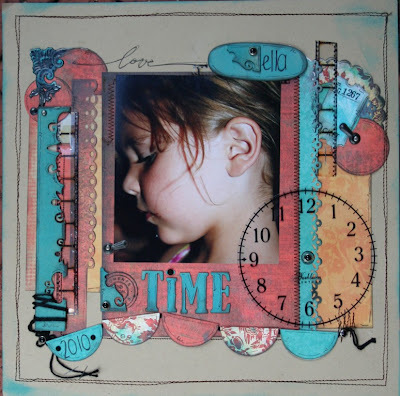 WOW, Heather, this is a big WOW, oh my, this beautiful layout just displayed how creative and talented you are, there is no sign at all that suggested this is out of your comfort zone, no, no, it looks like you played with those colors everyday! : ) Totally STUNNING! Fabulous job with those colours Heather. Your layout looks a little vintage and oh so pretty. Love it!! I hated those colours to start with too. It's amazing what we can do when we set our minds to it!! This is a gorgeous take on the challenge, Heather. Love all the little embellies and that banner is awesome. wow, this is gorgeous!!! beautiful!! Heather DO NOT DOUBT YOURSELF ! This page is perfect. Your colours" tone" together beautifully. It is a bold page , beautifully designed, your colours are deep but soft, finished off so tidily ( as is all you do ). As I said gorgeous and perfect. 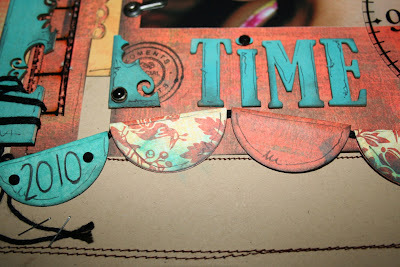 The colors looks so wonderful all togehter and your page is beautiful with sweet details and a lovely picture. 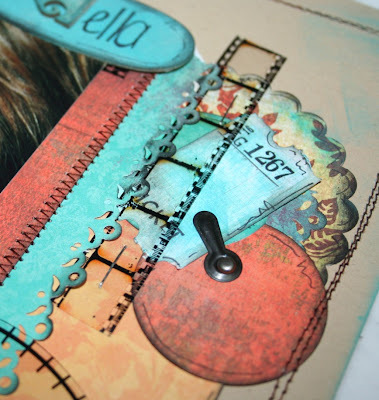 love your page!stunning color combo and design, and the little embellishments are amazing! I think this LO is absolutely beautiful Heather. Well I agree with DH, a brilliant photo, stunning LO and though this also would not be my colour combo of choice, the way you have made it work is brilliant! Beautiful colours, design and photo:) Lots of fab details. Put your doubts aside, this is an amazing page!!! The colors look great! 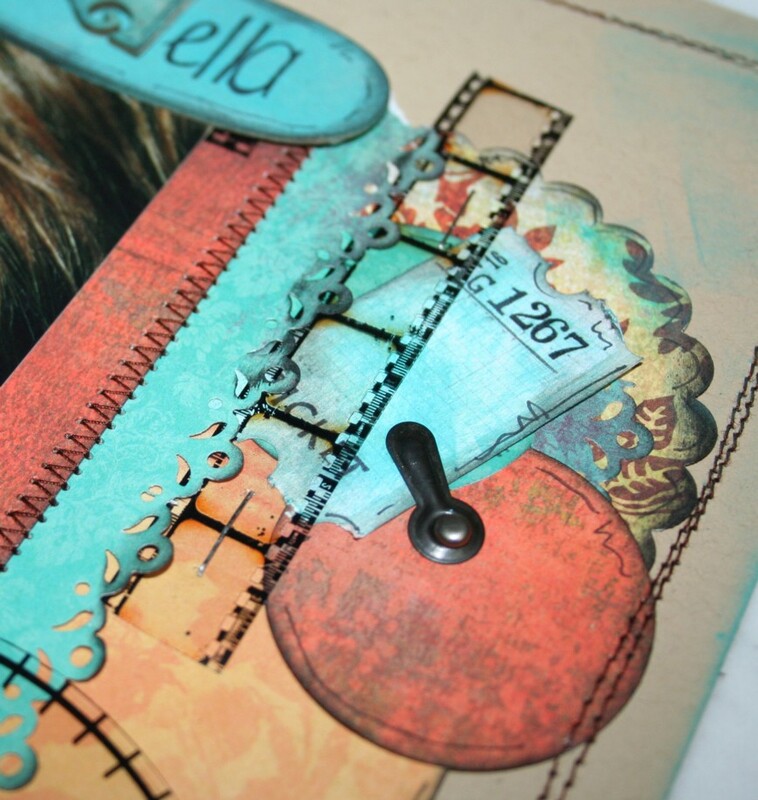 Love how you added in the black with the stitching and the film strip! This is just fabulous!!! I love all the layered embellies, and that schippie totallyrocks, gotta love hubby's mine always has some little critique....which Iusualluend up ignoring! I like your choice of colours Heather. gorgeous work Heather! love all your layers and those transperancies! the banners look great too! Great take on the challenge!